Despite the multitude of cookbooks in my kitchen (and in the dining room, and the den, and the guest bedroom), the Internet is my first stop when I’m looking for food inspiration, recipes and ideas. Probably because I’m umbilically attached to my computer. I thought I would share my favorite foodie websites with you, to spread the wealth, and I hope you’ll share your favorite sites in the comments. The folks at King Arthur Flour are the baking EXPERTS, in my opinion. 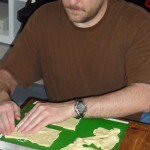 And their blog is an excellent step-by-step source for baking recipes. For instance, this recent post about pavlova includes photos of every step, a detailed explanation of sugars, different options for shaping your pavlova, even the best way to add ingredients to the mixing bowl. They include a link to the recipe – a print version too – and you can switch the recipe measurements between weight and volume (great for me since I weigh my ingredients when baking). Be sure to check out their pizza recipes (the Easter pie is still on my to-do list). And if you don’t have some of the ingredients or equipment they mention (but they generally mention substitutes), their store is a cook’s dream. Warning! This site is very dangerous, especially if you’re hungry! Tastespotting is a picture blog with submissions from food blogs all over the web. Just the food photography alone is to die for, and make me realize I have a long way to go in my pictures on this blog. So it’s great inspiration for photos, but also an international recipe idea book. Search for “chicken” and see 5722 recipes for chicken (at the time of this writing) from blogs around the world. Click the picture to go straight to the blog. You can submit a picture from your own blog, or a blog you follow. But real people review the submissions and only posts that pass muster with them get posted on the site. My mouth is already watering, and I just ate lunch a little while ago! Now, I know some foodies scoff at Food Network, and I don’t watch *nearly* as many of their shows as I used to. But their website is a great resource because it still has recipes from shows that were on air 10 years ago in addition to shows currently airing. As I habitually print recipes from a show and then misplace them, I’m always going back to the website to search again. Often, when I want to make a particular dish and don’t have a recipe to start from, I’ll see what the varied chefs at FN have to offer. For instance, I couldn’t find my favorite deviled egg recipe last night (and unfortunately it wasn’t online), so I searched FN for deviled eggs. To me, deviled eggs are a Southern thing, so I thought Paula Deen’s version would suit me. (And it did, except I only had dill pickle relish instead of sweet pickle relish, so the taste was a little off right after mixing, but they were great at lunch today.) I have multiple printed copies of Good Eats Baked Mac and Cheese, plus my favorite scone recipe, delicious boiled potatoes, and what my husband calls Johnny Marzetti (I just call it fabulous). 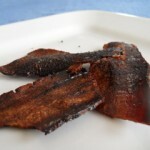 Myrecipes.com is the online database of every recipe from Cooking Light, Southern Living, Real Simple, Food & Wine, and more. I could have searched for a deviled egg recipe here, and found an excellent Southern Living one, I’m sure. If I’ve torn out a great recipe from Cooking Light, and then misplaced it (no, that never happens), I can search for it here. I also get different daily emails from them with dinner ideas, dessert recipes, holiday entertaining meals, etc. If possible, make sure you’re using some kind of ad and popup blocker before you visit this site. I love the resource, but they are awful with the advertising. Serious Eats is a food blog on another level. I consider myself a pretty advanced cook, but these guys are beyond. Thankfully, their recipes hit multiple levels – they run from simple ranch dressing to exotic sweetbreads (which I’m not adventurous enough to try – if I can even find them locally!). I always learn a ton from the equipment reviews, gadget cooking (sous-vide in a beer cooler! 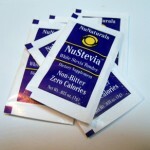 ), ingredient tastings, and the discussions in the Talk forum. The no-cook freezer jam is on my list to try with blackberries and peaches this summer. 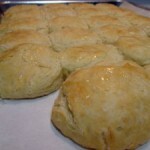 A Southern-but-French blog with breathtaking photography – and the recipes aren’t too bad either! If you need a showstopper dessert for a party this is the site to visit! As she’s gone gluten free, so have many of her recipes. As my fridge and yard is spilling over with summer berries right now I have an eye on her Goat Cheese and Berries Tart. You won’t get the step by step instructions of the King Arthur Flour blog, but you will get fabulous recipes from an expert pastry chef. If you’ve spent any time on this blog, you may have caught on to the fact that I love tomatoes. (Love, love, love.) So how could I not love a food blog called Summer Tomato? Food scientist and foodie Darya Pino focuses on fresh, local food and healthy eating tips. Her market posts make me sooo annoyed that I don’t live in California for these amazing farmers. She’s as wordy and full of explanations as I am, so you know that’s super-appealing to me. I know a lot about food, but I always learn something from her posts. Healthy somethings. So that’s just a sampling of the sites that I love to visit for kitchen inspiration. What are your favorites? Please share in the comments! I have a lot of knives. Two knife blocks (one of them a 22 slot), plus a small drawer, plus two sets of steak knives. I’ve accumulated them over the years, like chotchkies I can hurt people with. But if my house was burning down (probably from a flaming cookbook), I would grab these five knives before fleeing the scene. 1. The Paring Knife. AKA, the knife for little stuff. My paring knife is basically my fruit knife. I use it for capping strawberries, sectioning oranges, peeling peaches, cutting lemons for squeezing, etc. Basically, tasks where a large knife would be unwieldy, or potentially dangerous. For many of these tasks, I’m holding the knife and the object to be cut in the air and cutting towards my hand or thumb, as when peeling a peach. A small, nimble knife makes the job easier, so a paring knife is a definite must have. I actually have 3 paring knives, all KitchenAids, all slightly different models. I think at least two parers are good to have on hand, but if you’re really tidy then you could make do with one. If you’re like my mother, this would be the only knife you use. She has these little Victorinox paring knives that she uses for *everything*, and she’s had them (or their identical replacements) for as long as I can remember. She has other knives, but I think they must be for the other people in the house to use, because she doesn’t use them. And boy, if you use her Victorinox knives, you better take care of them and put them back where you found them! Cook’s Illustrated gave them a high rating, too, so I haven’t tried to upgrade her paring knives. She would resist me to her grave, anyway. These knives might be buried with her. 2. The Small Serrated Knife. AKA, the tomato knife. According to the writing on the knife, my particular serrated blade is a 5″ steak knife. In my house, it’s my tomato knife. Even after 10 years, it cuts through tomato skin quickly and cleanly. If I’m prepping a salad for dinner, I’ll use it for every ingredient but lettuce (chef’s knife is better for that). It works great on apples, onions, beets, carrots, peppers, whatever. I assume it would be great for steak, but I have other, less valuable knives for lowly meat. I’ve been known to travel with this knife. I saved the little cardboard sleeve it came in, and use that for traveling when we go on vacation or visit the parents. You never know when you need a good tomato knife! Now, obviously you can’t add this particular knife to your collection. (If you find it, please send one to me!!) But it’s important that you have a serrated knife in your arsenal for foods like tomatoes. (I have several old serrated steak knives that are great for slicing cheese, and I keep them around for just that purpose.) This 4 knife set from Sabatier looks very tempting and probably comfortable to use. I think I’ll add that to my wish list and maybe one of the people who received the original knife will reciprocate! Some companies sell tomato knives that are very big, or clunky. I have a long serrated knife that’s so vicious I’m scared to clean it, as I nearly always nick myself. I’ll pull it out to slice bread, but I think a smaller 4 to 6 inch blade is really versatile and practical. And, dare I say, essential? 3. The Chef’s Knife. AKA, The Business Knife. When I first started using a chef’s knife, I felt like a 6 year old trying on my mom’s high heels. I felt grownup, yes, but the knife was so big! Remember, I grew up around paring knives. When I bought a chef’s knife, it was the first time I’d ever used one. I actually started with a smaller chef’s knife, about a 5-incher, and used that for a few years before moving up to a 7 inch and beyond. This KitchenAid Chef’s Knife is 8 inches, I think, and 7-8 inches seems to be a good size for me. I use my chef’s knife for large tasks, like cutting up a pineapple or melon, or chopping lettuce. Having a big blade means you can cut an entire side of your pineapple at once, for example. Don’t just use the chef’s knife for big stuff, though. The curve from tip to handle allows you to rock the blade across the cutting board. So it’s great for chopping herbs, or smashing garlic with the flat of the knife and then rocking across the smashed cloves to mince. You can also use the flat of the knife to make garlic paste, by pressing and dragging the flat of the blade across the smashed cloves. Feel like a grownup: Get yourself a grownup knife. 4. The Santoku. AKA, the funny sounding one. My santoku and my chef’s knife are nearly interchangeable, except for two ways that make each one an essential knife for me. 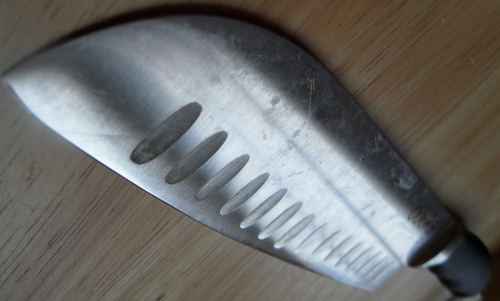 First, the santoku has notches on either side of the blade that help prevent food from sticking. So it’s great for slicing potatoes, winter squash, sweet potatoes, or other starchy foods that would normally stick to the knife as you’re chopping. The main reason I don’t use my santoku instead of my chef’s knife is because the curve of the blade is less pronounced, and therefore I can’t rock the knife on the cutting board as well. But for lettuce, pineapple, melons and the like, I’m happy to use whichever of the two is clean. I gave my mother in law this knife for Christmas a couple of years ago, and she loves it. Especially the cushy handle that makes it easy to hold and use. As I’ve trained her not to put knives in the dishwasher, it’s held up really well for her. 🙂 Unfortunately, JCPenney no longer sells the cushy handles, but they do have a 2 piece santoku set. I have this little santoku as well (two of them, one cushy handle, one not – yes, I know I have too many knives) and it’s very handy. I just didn’t consider it essential for purposes of this post. 5. The Slicer/Carving Knife. AKA, the holiday knife. For some reason, I own four or five slicers in varying lengths. Clearance impulse buys, parts of sets, wedding gifts, I have no idea where they all came from. I’m not attached to a particular one, but generally the larger the meat that I’m slicing, the longer the knife I reach for. 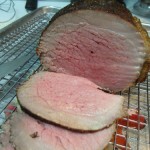 Slicers have a long narrow blade that minimizes friction, and allows you to cut a wide roast or ham without getting your hand lost in the meat. I like the control and dexterity I get with a slicer as opposed to an electric knife. And it takes up a lot less space in my kitchen. Of course, this 8″ Sabatier knife is discontinued (what is it with Sabatier? ), but this knife from J.A. Henckels looks very similar and won’t break the bank (as opposed to some other Henckels knives). So there you have it. My five essential knives. 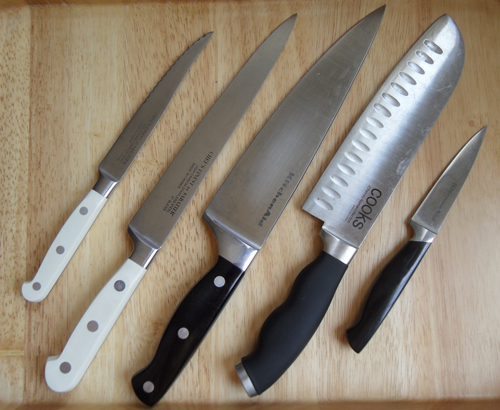 If you can find a santoku with a good curve, four knives would do you. For my next post, I’ll discuss what to look for when buying knives, how to build your knife collection for less, and how to take care of your knives so they last (hint: don’t put them in the dishwasher). Do you have a favorite knife? Is there a type I didn’t mention here that you consider essential? Please share in the comments! Disclosure: Any purchase from Amazon affiliate links here would earn me a small percentage of the sale price. I do not receive any compensation for the JCPenney link. In honor of Earth Day, I wanted to share seven steps I’ve taken the past few years to be more environmentally friendly in the kitchen, beyond changing light bulbs and buying organic. I made the change from plastic to glass containers partly for health reasons, but it has an environmental benefit, too. The jury’s still out on which material is easier to recycle or costs less energy to produce, according to my research. 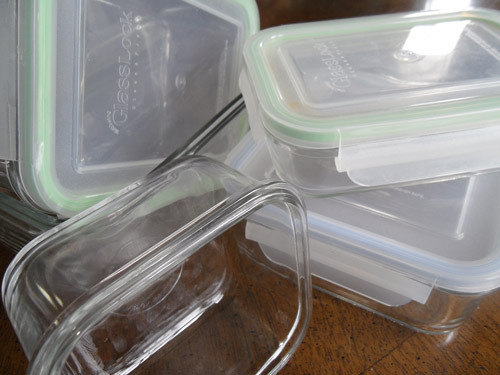 But I had to regularly buy new plastic containers to replace ones that got warped, scratched, or damaged. My glass storage containers, on the other hand, look as pristine as the day I bought them. They’re oven safe, stack nicely in the fridge (though they don’t nest well when empty), and – most important to me – they’re not leeching chemicals into my food. Yes, the lids of these particular containers are still plastic, but we all make trade-offs somewhere. I still like zippered plastic bag for storing certain leftovers, like rolls, sandwich meats, chopped lettuce, and other items. 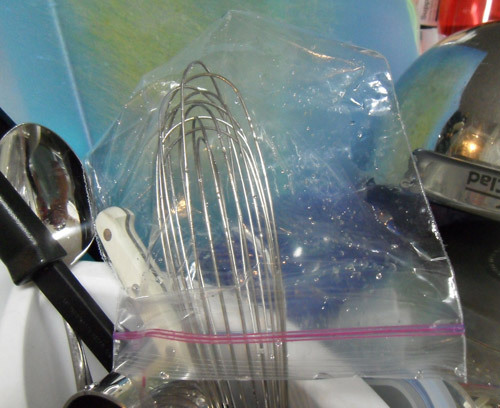 If what I’m storing isn’t messy, I’ll rinse the bags when their original occupants are finished, let them air dry over a whisk or something on the drying rack, and reuse them. This way I get a couple more uses out of each bag and I don’t feel so bad about using something disposable. Composting is the process of taking food scraps from the kitchen, putting them in a pile in the yard, and eventually they break down into ultra nutritious soil for the garden. So those food scraps stay out of the landfill and enrich my plants. Admittedly, I’m better about composting in the summer, but I try whenever I’m chopping a lot of lettuce or making salads to collect the scraps for the yard. Hubby gave me these biodegradable compost bags for Christmas a couple of years ago, so I can pile the scraps in there and then toss the bag in the compost bin. Shredded paper works great as brown material in the compost bin too. Read more about composting at HowToCompost.org. My little recycling station. Pretty? No. But it works! When we first moved here 10 years ago, my only recycling options were paper and soda cans. I was content with that, until I saw the efforts my friend Nicole made to recycle. (Can we say throwaway guilt?) She told me about recycling bins around Greenville that I could use. But I was still limited to metal, glass, and “plastic bottles with a neck”. (I know, why not just say plastics #1, 2 and 4 or whatever?) Then last year my town opened an expanded recycling center, accepting metal, plastic bags, glass, all types of plastic, batteries, and more. 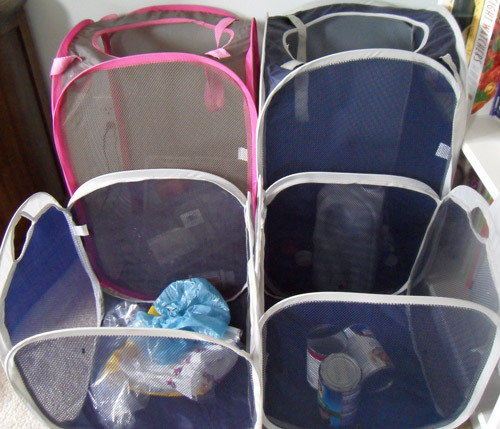 So I set up 4 mesh laundry baskets – plus a sturdy trash can for glass – in the dining room as a recycling station, and take them to the center when they’re full. 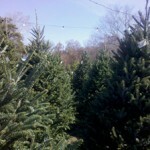 Between this and composting, we’ve reduced what we throw away by 50-70%. I used to go through paper towels like nobody’s business. Drying produce, wiping up spills, and I’m not really sure what else, but I did something so that I’d use a roll of paper towels a week. Meanwhile, I’d pull out 2 kitchen towels at a time from my huge stash and use those two for weeks, basically just to dry my hands. I finally realized that was silly. 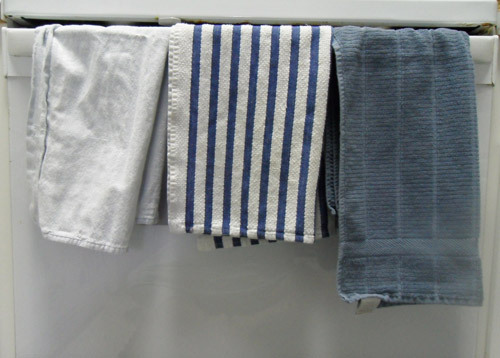 A clean kitchen towel was just as good for drying produce and other tasks. So now I keep more cloth towels in the kitchen and rotate them every few days. Yes, I do kitchen laundry a little more often, but that’s friendlier to the environment than a pile of used paper towels. 6. Cloth instead of paper napkins. I really thought this would be a tougher switch than it was. But I had all these cloth napkins I wasn’t using, and we were going through a lot of one-and-done paper napkins every week. 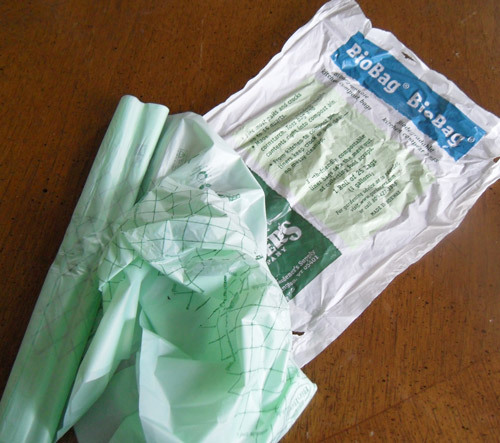 So I swapped the paper for cloth in the napkin holder, suddenly it was done and not a big deal. 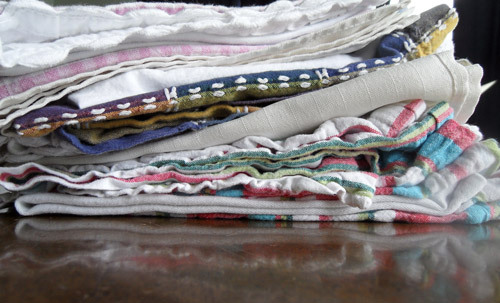 Yes, again it means more kitchen laundry, but I can actually do a full load dedicated to kitchen linens instead of the half loads I used to do. Win, win. Best. Idea. Ever. At first, I felt awkward carrying bags into the grocery store. (Even more so at Target or the mall.) But once I started bringing my own bags, I’ll never go back. 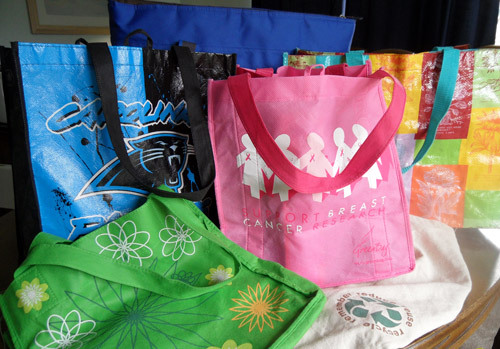 They’re easier to carry, you need fewer bags for the same amount of groceries (which means fewer trips to unload), and they don’t hurt your hands like the plastic bags do. I also have several fabric coolers that I tote along for ice cream, dairy and meats – essential for summers in the South! I started for environmental reasons, but I continue because this switch made my life easier. My biggest problem now is that I have more bags than I could ever possibly use, but retailers are coming out with the cutest new reusable bag designs. Must resist! Could I do more? You betcha! I could make organic more of a priority, make packaging a consideration when choosing a product, make better use of what’s in my kitchen already so we don’t throw anything away. Maybe areas of improvement could be another post. But what I do now is such an improvement over what I did a few years ago, which was better than what I did a decade ago. Imagine where I might be 5 years from now! Have a tip for being greener in the kitchen? Please share in the comments! 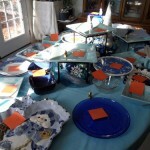 Entertaining tip: Have a party before the party! Read about my favorite cooking tools and tips. I’m taking pictures of my own kitchen gadgets and gizmos, unglamorous and well-worn as many of them are, and telling you what I love about them. And what I wish was different about them. And, if possible, where you can get them. I also share favorite recipes and whatever other kitchen or entertaining related info strikes my fancy. Want to know more? Contact me at stephanie AT kitchenstuffilove.com. Accidentally Angela A great blog by a great friend of mine. Ponderings on life, love, and Johnny Depp. Pixel & Paper Designs What pays the bills and usually feeds my creative soul. Raspberry Moon Skin Therapy Another friend who offers amazing skin treatments. This is the woman to go to for a wax!